Catsuit up your lips for a purrrfect sultry look with the multi-dimensional metallic finish of this liquid lipstick with Wet n Wild's Megalast Liquid Catsuit Lipstick. Smooth it on before your morning java and it'll last ‘til your last martini without a touch-up or drying. Its dynamic pigments appear to change with the light-like the reflexes of a cat. About the Brand: Wet n Wild is a Los Angeles based company bringing to you stunning range of cosmetics with high-performance formulations all available at unbeatable prices.Since 1979, millions of women around the world have trusted wet n wild in delivering prestige-quality cosmetics in trendy colors.Avail hottest makeup picks, get the latest beauty inspiration with on-trend wet n wild palettes, lip colors, foundations and much more to get flawless makeup looks all the time! Explore the entire range of Liquid Lipstick available on Nykaa. 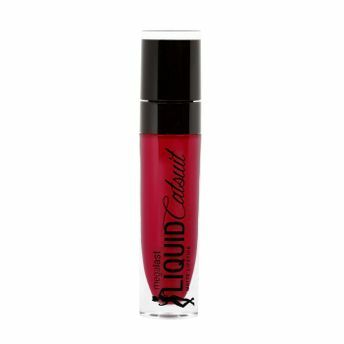 Shop more Wet n Wild products here.You can browse through the complete world of Wet n Wild Liquid Lipstick .Alternatively, you can also find many more products from the Wet n Wild MegaLast Liquid Catsuit Matte Lipstick range.